We help companies establish or revitalize their brands, define target markets, develop messages that raise awareness and resonate with prospects, spot new opportunities, and sell more stuff. 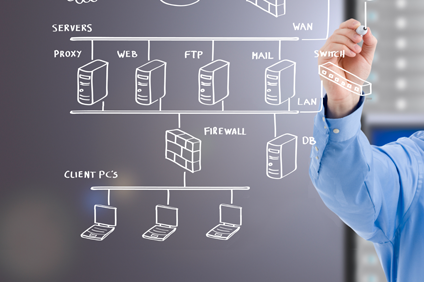 In short, we help companies regain control over their future. Since 2003, Reveal Consulting has delivered results for more than 100 firms in the U.S. and abroad. Our team of senior strategists and detailed implementers enjoys working with soon-to-be leading companies in technology and software, transportation and logistics, and legal and professional services. We act as a seamless extension of our client’s firm – as a sounding board, expert counsel, a resource (and rolodex), and a proven implementer that delivers measurable marketing outcomes. Contact us today. We look forward to having a conversation with you about your firm’s goals and how Reveal can help. Deliver the right message in a compelling way to the right audience and they’ll want to know more. We put ourselves in prospects’ shoes to create marketing that overcomes the “why should I care” and turns contacts into warm leads. There is no magic to marketing success. It’s just hard work – consistent effort and a continual improvement of the plan to yield the greatest impact. If you don’t measure, you can’t improve. We thrive on quality data and the quest to always do better. Marketers today have countless new platforms to connect with customers. Not all are right for your firm, though. We help clients make sense of the trendy and the “tried-and-true” to build an integrated mix of tactics that cut through the clutter. Our senior pros can drive your marketing on a part-time or interim basis and help you launch a new product, build momentum, or create the marketing structure to get to the next level. Are you selling the right product to the right people or are you missing an opportunity? Are you leading the pack or being outflanked by competitors? We deliver insights you can act on. Reveal can help you chart the course for marketing success with actionable plans that maximize budgets to increase visibility, build brand awareness, and produce leads. Brand-building ad campaigns aren’t just pretty pictures and slogans. We create and place relevant advertising that connects with your target audience and sparks engagement. 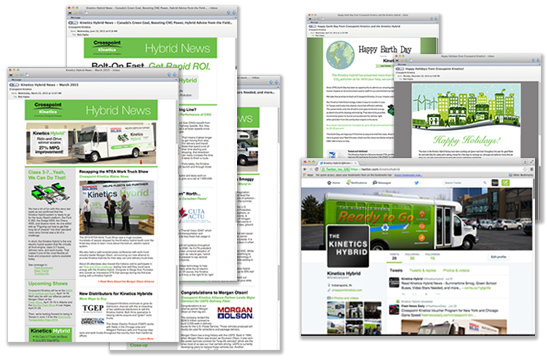 Tap into positive, regular news coverage to increase awareness and credibility. Reveal tells your story in unique ways and connects you with reporters and editors at key media outlets. Reveal helps you find and nurture new leads with integrated campaigns and marketing automation systems. We produce targeted campaigns that build brands and advance the sales process. Exceptional creative is both engaging and well thought out. We build customized websites that work and design graphic pieces that reinforce your brand’s unique selling propositions. It’s a digital world and we harness it with strategic and tactical support for email marketing, content driven campaigns, online advertising, search engine marketing, social, and whatever comes next. Already have a marketing plan but need an exceptional team to manage the day-to-day implementation? Reveal’s experienced pros follow a proven process to ensure accountability and ROI. The increase in law firm mergers and demergers has left many finance departments scrambling as they look to integrate data from disparate systems or bring new divisions online with the home office. Our client, Basal Enterprises, helped these law firms navigate the technical and structural issues around their billing and practice management software. The technology implementation firm competed in a highly specialized space with some very large, entrenched players. Reveal Consulting sought to professionalize the three-year-old brand and position the Basal team of senior strategists and implementers as subject matter experts that could provide critical, unbiased counsel. Our integrated marketing campaigns included advertising creation, brochure and sales sheet development, e-marketing, social media, website design, and trade show booth design and support. 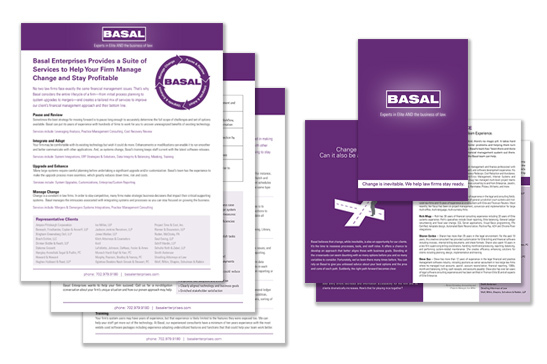 Basal enjoyed rapid growth including key contracts with several AM Law 200 ranked law firms. 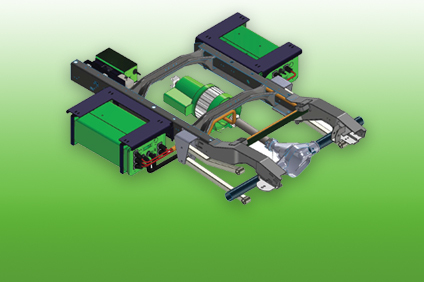 Crosspoint Kinetics, a Cummins subsidiary that produced a hybrid for class 3-7 buses and trucks launched in 2013 into a competitive and uncertain alternative fuels marketplace. Encouraging adoption of new, more economical and earth-friendly technologies to transport people and materials still requires a fair bit of education and persuasion. Reveal Consulting provided a contract marketing director 80 hours per month to help build the Kinetics Hybrid brand preference among public transit and private sector fleet managers. Reveal’s CMO embedded with the Kinetics’ team – helping to define the brand (through websites, collateral, ads, etc. ), developing a cost-effective strategy for generating viable leads, managing the day-to-day tactical implementation including public relations and planning trade show appearances, and development/selection of sales and marketing systems to facilitate lead nurturing. 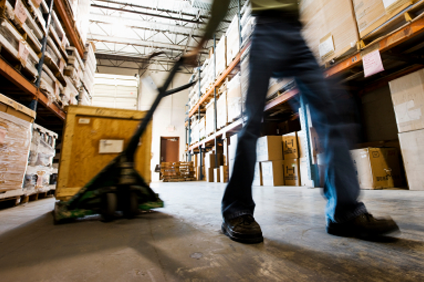 Indianapolis is the crossroads of America and a major hub for warehousing and transportation providers. 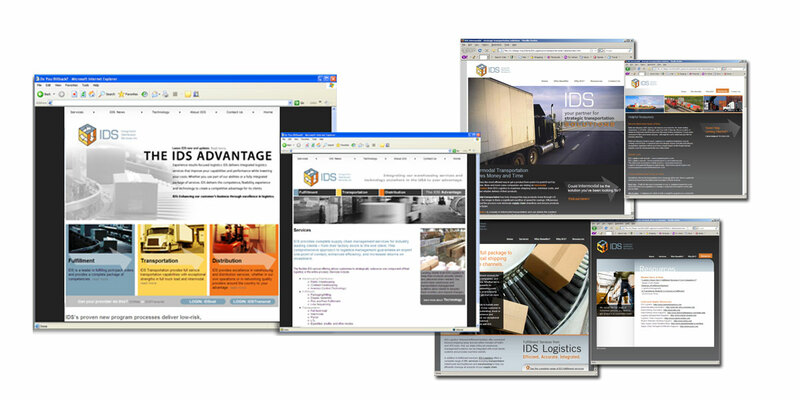 Reveal Consulting has provided marketing support to several logistics and third-party logistics (3PL) firms including IDS Logistics and its predecessor LOGISCO. IDS provides warehousing, transportation management, packaging and other supply chain support to clients throughout North America. Our team helped the company define and communicate its brand story more clearly via a cost-effective mix of integrated marketing tactics. 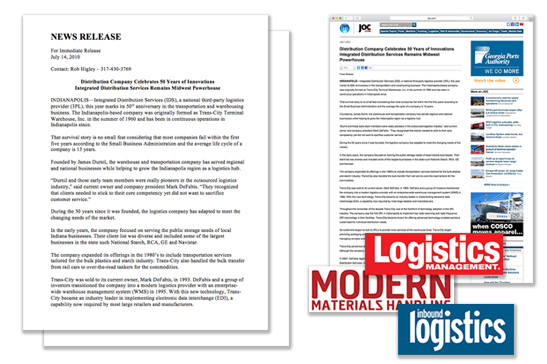 We also helped the company highlight its recently added fulfillment and intermodal transportation services through an updated Web site and marketing materials as well as targeted microsites that provide more detail about the two service offerings to segmented audiences. Created a drip of positive news stories through proactive public relations to communicate major contract wins, key personnel hires, unique client cases, and more. Branded graphic design support for sales sheets, case studies, print advertising, and direct mail. 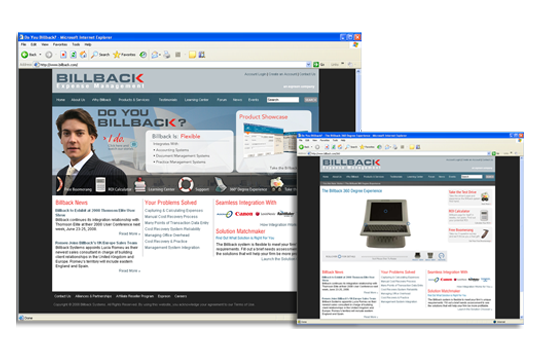 Billback System, a global leader in cost recovery technology for law firms had offices in Sydney, Australia; London, England; and Dayton, Ohio. Clients included many of the top 100 law firms outside of the U.S. New to this market, Billback enjoyed exceptional marks for customer service but suffered from low awareness. The company asked Reveal Consulting to act as marketing change agents and catapult it from a 3rd place player in a saturated technology marketplace to the provider of choice. 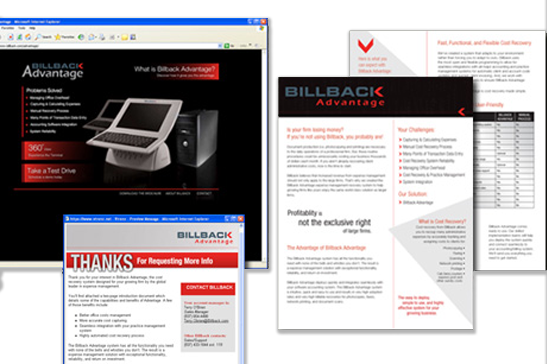 Reveal Consulting helped Billback accelerate its market growth by developing and implementing strategic marketing plans, systemizing the process, and improving the sales pipeline. 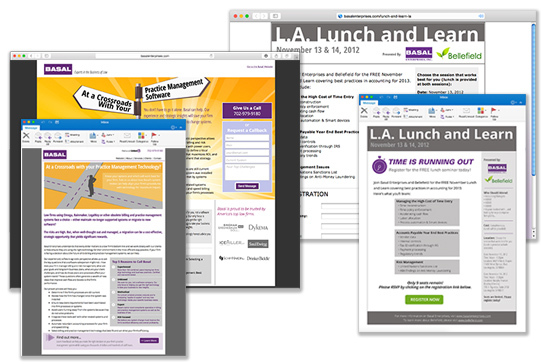 We created tools including sales sheets, video testimonials, whitepapers, articles and direct mail pieces. Reveal personalized the email marketing experience using the lead generation/marketing automation software Silverpop. 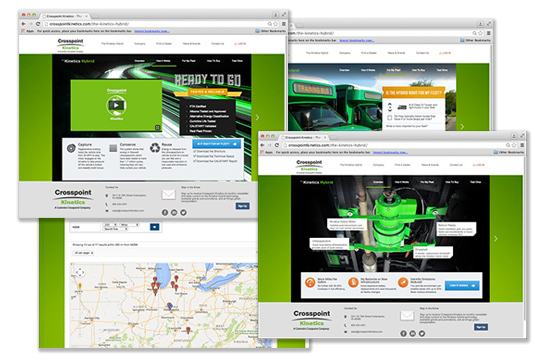 We redefined the company website into a brand-positive, lead generating tool. 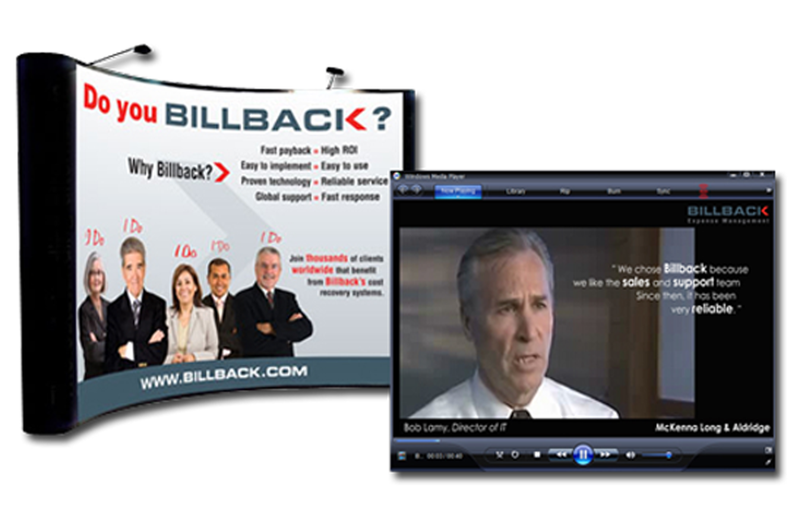 Our creativity helped Billback get noticed at trade shows, in PR-generated news articles and in targeted advertising. 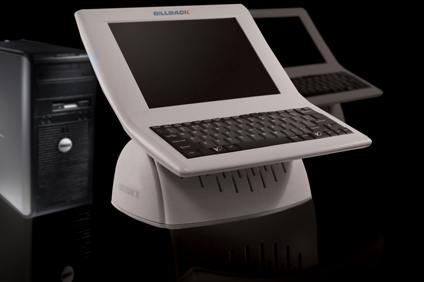 And, our sales support helped Billback’s sales team advance prospects through the various stages of the buying process faster. Awareness grew by nearly 50% among key segments. 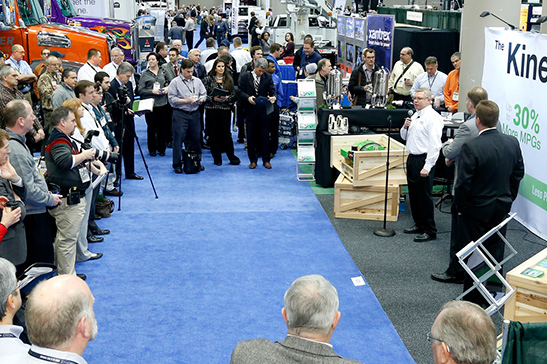 Confirmed product demonstrations tripled in our first year. Revenue from new clients increased by more than 300% in the U.S. Sales in the U.K. nearly doubled. The company was profitably sold to a former competitor. Prefer to send us an email? That works too. We’ll be sure to get back with you quickly.